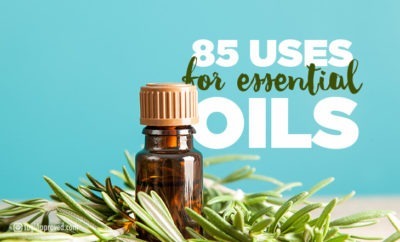 Essential oils are potent natural solutions for health that can be used in many ways to support the respiratory, cardiovascular, immune, digestive and nervous systems. As well as helping to relieve occasional muscle pain, headaches or inflammation, these natural extracts from seeds, roots, flowers and bark can also serve as powerful tools for mood management. This is because our scent receptors are connected to the limbic system in the brain, which links different aromas to memories and emotions. When you encounter a new scent for the first time, this system instantly creates associations that tie it to a particular person, event or moment. The next time you smell that same scent, the brain recalls those feelings. Since scent experiences are so deeply personal, this explains why one person might react to the same scent in an entirely different way from someone else. Essential oils – which are naturally and beautifully fragrant – and other aromatherapy products can also help us to transform the experiences we have in the world through scent. 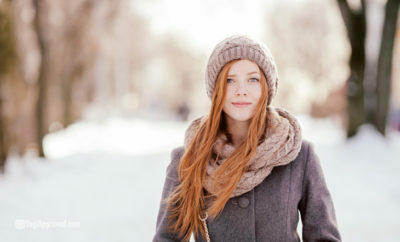 Aromatherapy can have a big influence on our mood. The next time you’re needing a little boost, try these essential oil recommendations. 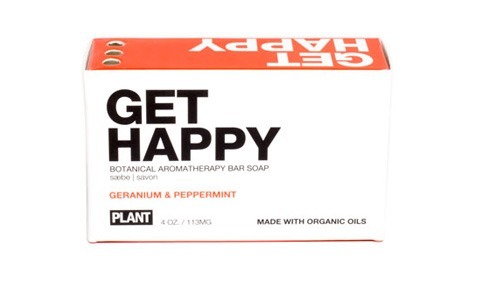 This sustainably sourced, fair trade, made-in-the-USA soap bar offers a bright way to start the day. The organic vegetable oil soap base is enriched by organic essential oils like geranium, rosemary and peppermint – all known for their mood-lifting properties according to classical aromatherapy. Invigorating citrus and mint oils are paired with bergamot, black pepper and lemongrass in this therapeutic-grade essential oil blend. 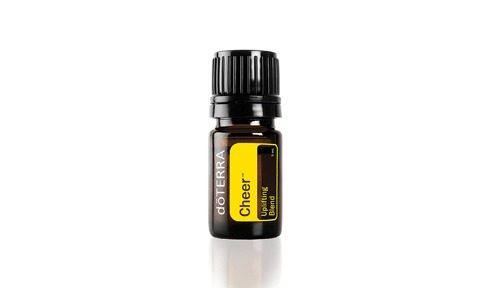 This energizing oil combination is perfect to diffuse when you need a boost of energy or motivation for everything from getting the chores done to starting a home workout. 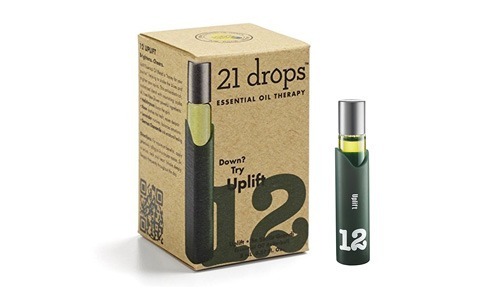 This unique essential oil product comes in the form of a roll-on stick that looks like a lip balm. Rather than swiping it across your lips, apply it to the temples and pulse points. Revitalizing, refreshing oils like lime and basil are blended in a base of beeswax, cocoa seed butter and sesame oil for easy application. 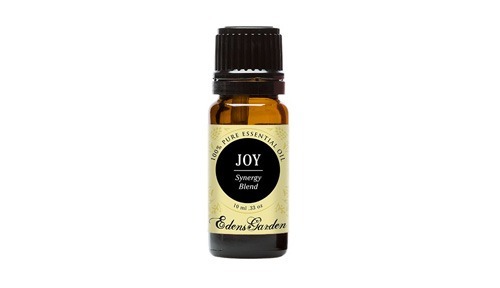 Joy Synergy is a blissful blend that is powered by enchanting floral and citrus oils like jasmine, geranium, lemon and sweet orange that is specifically crafted to remind of life’s joyous moments. Diffuse or add it to a bath for a relaxing, spirit-boosting soak. Infuse some cheer into your life with this mood-brightening fragrance that contains German chamomile for emotional healing, helichrysum to lift the spirits, lavender to balance the emotions and rose to ease despair. This roll-on blend is pre-diluted in jojoba oil so that it goes on easy to the wrists, neck and heart. 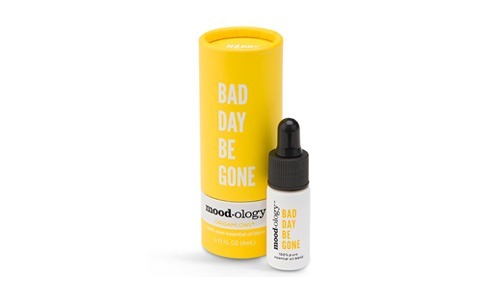 On days when you feel like there is a storm cloud over your head, pick yourself up again with this 100% pure essential oil blend of orange, lemon, bergamot, tangerine and grapefruit to counter stress and encourage emotional balance. 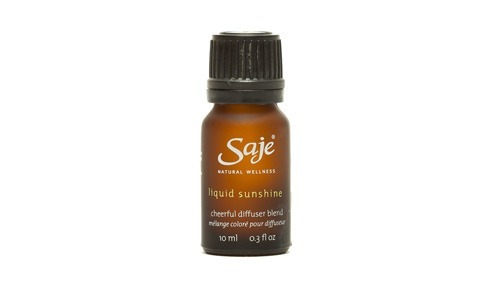 For all-day uplifting, try adding a drop of this uplifting oil blend onto aromatherapy jewelry. Feeling blue? This optimistic essential oil blend features wild orange, clove, star anise, nutmeg, cinnamon and vanilla bean to promote feelings of comfort and hope, while also counteracting negative emotions of grief, sadness and hopelessness. 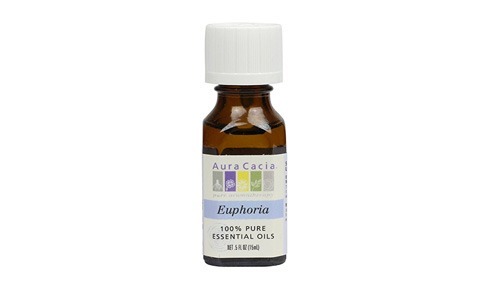 This versatile oil can be used either aromatically or topically when you’re feeling low. Spread positivity, happiness and all-around good vibes throughout your space with this cheerful diffuser blend. Notes of lime, bergamot and mandarin red remind of a fresh spring morning. In this blend, refreshing lime, orange, grapefruit and lemon meet warm and spicy cinnamon, ginger and nutmeg. The result is an energizing essential oil blend that can be dropped into a diffuser or added to a DIY room spray to cleanse the energy of a room and charge it with positivity. This blend of amyris, bergamot, ginger and ylang ylang is the perfect combination to diffuse to promote an overall sense of well-being in the body and celebratory cheer within the home. 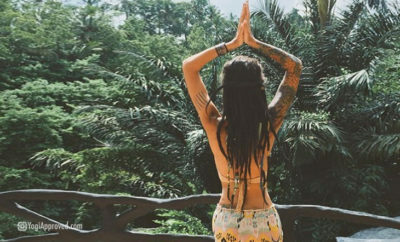 These powerful plant essences also offer one of the quickest ways to affect your mood. Integrating them into your daily life offers great support for balancing mind-body health and wellness. What is your favorite pick-me-up scent? 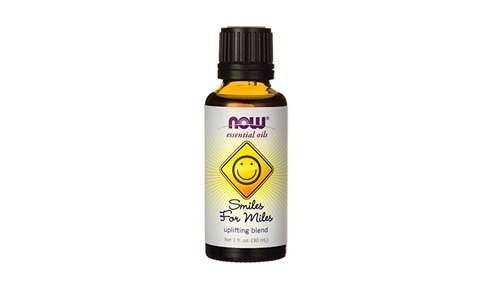 What single oils or blends do you find the most effective for uplifting your mood? We’d love to hear from you in the comments below! 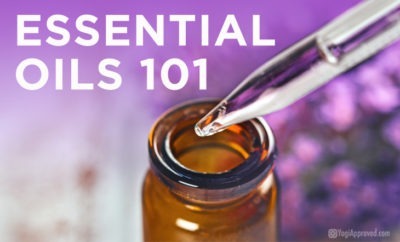 Please note that essential oils are not intended to diagnose, treat, cure or prevent any disease. Consult a medical professional for any health-related questions or concerns. Laura is a writer who is passionate about the power of plants and essential oils for health, wellness and vitality. She loves DIY-ing everything she can, making shapes on her yoga mat and enjoying the great outdoors with her lovable Golden Retriever Leon.